New Zealand’s contribution to military operations in Malaya and Malaysia from the late 1940s to the mid-1960s will be commemorated in a national service held at Pukeahu National War Memorial Park at 11.00am on Sunday 16 September. New Zealand Special Air Service (SAS) soldiers with a Bristol Sycamore helicopter of the Royal Air Force. Photograph taken by a New Zealand Army photographer during the Malayan Emergency (1948-1960). Photo Credit Alexander Turnbull Library Reference: M-3097-F.
“This commemoration demonstrates the significant contribution New Zealand made to Commonwealth forces for nearly 25 years,” Tamsin Evans, Group Manager Delivery Manatū Taonga Ministry for Culture and Heritage said. “Twenty-two New Zealand servicemen lost their lives during the two campaigns, three as a result of enemy action. “New Zealand’s involvement began in 1949 when a flight of RNZAF 41 Squadron’s Dakotas were used to drop supplies to anti-guerrilla forces. 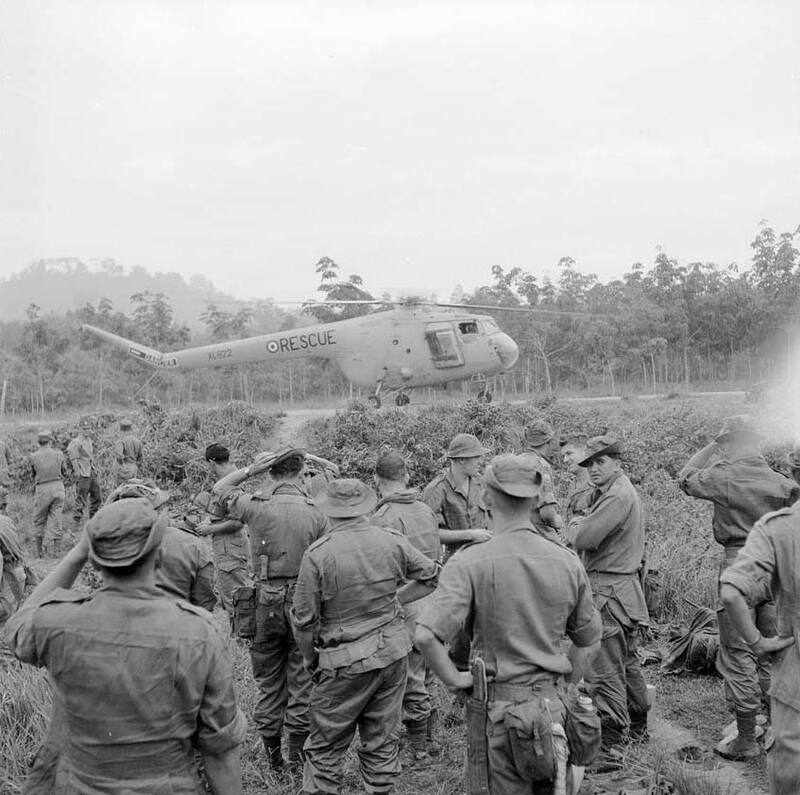 In the late 1950s both the Special Air Service and infantry battalions were sent to Malaya. “In 1964 New Zealand began helping the new federated state of Malaysia to fight Indonesia’s attempt to gain control of the North Borneo territories in what was known as the Confrontation Campaign. “On 11 August 1966 Indonesian and Malaysian representatives signed a peace treaty in Bangkok with New Zealanders completing their withdrawal from Borneo in October. “Official guests at Sunday’s commemoration include Minister of Defence Hon Ron Mark and Her Excellency Ms Nur Izzah Wong Mee Choo, High Commissioner Malaysia. “Members of the public are welcome to attend and are asked to be seated in the Hall of Memories by 10.45am on Sunday,” Tamsin Evans says.